Girl Guides of Canada has announced it will no longer take trips to the US, citing concerns about the ability of all members to “equally enter” the US. The organization doesn’t want to risk any girls being refused entry to the US as a result of President Donald Trump’s travel ban, although it did not mention the ban directly. Under Trump’s second executive order travel ban, people from six predominantly Muslim countries are temporarily banned from entering the US. 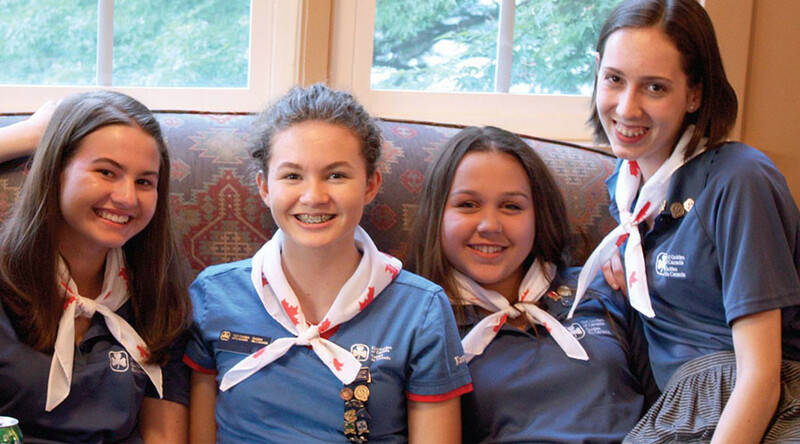 "At Girl Guides of Canada, we know our members value the safe, inclusive and accepting space that Guiding provides," a Girl Guides statement read. "While the United States is a frequent destination for Guiding trips, the ability of all our members to equally enter this country is currently uncertain." Girl Guides of Canada have cancelled all future trips to the United States over fears that all girls won't be welcomed equally. "This includes both trips that are over or under 72 hours and any travel that includes a connecting flight through an American airport,” the statement says, adding that the organization has canceled a planned trip to a California camp this summer. The decision is precautionary, according to Marketing and Communications Manager Sarah Kiriliuk. "We really wanted to make sure that no girl gets left behind,” Kiriliuk told CBC News. Canadian schools have also expressed concerns over the travel restrictions and how they will affect students on upcoming international school trips.